The presence of asbestos is unfortunately a common occurrence in many Sydney homes. The dangers of asbestos, material that potentially contains asbestos and the steps that you should be taking to deal with asbestos risks remain less well known among the general public. November is asbestos awareness month. ‘Get to know Asbestos this November’ aims to educate Australians about the dangers of asbestos in and around homes because Australia has one of the highest rates of asbestos-related diseases in the world. Asbestos, once claimed to be the world’s miracle fibre and named from the ancient Greek word for ”inextinguishable” is cheap, strong and flexible, making it the perfect material for more than 3000 products, including insulation, vinyl tiles, carpet underlay, brake linings, roof tiles and cement sheeting (fibro). When asbestos fibres are mixed with other materials, it produces what is called an asbestos containing material. At the time, it was easily mined and then combined to produce these products, and Australia loved it. Now, for good reason, it’s called the “Devils Dust”. The do-it-yourself (DIY) home renovator phenomenon has exploded over the last 15 or so years presenting a new wave of asbestos related concerns. While there is a move for all home renovators to have their properties assessed prior to renovations, we are not quite there yet. With Sydney’s love affair with renovations and DIY projects, there is an increased danger that asbestos will continue to claim and effect more lives, as unsuspecting tradespeople and homeowners replace floors, walls, ceilings and out-houses containing asbestos. Breathing in asbestos fibres can cause asbestosis, lung cancer and mesothelioma. 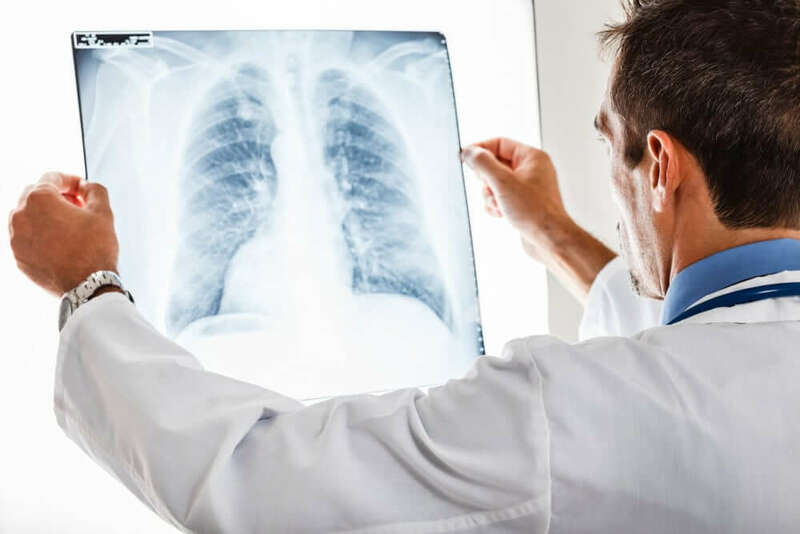 The risk of contracting these diseases increases with the number of fibres inhaled, while the risk of lung cancer from inhaling asbestos fibres is also greater if you smoke. People who suffer health problems from exposure to asbestos usually do not experience symptoms until many years later. Asbestos related diseases can take many years to develop. Most diseases will not become apparent for at least 10 years after exposure to asbestos and more commonly 15-20 years. Some diseases, such as mesothelioma, may take up to 40 or more years to develop. Malignant mesothelioma is the most common of the asbestos-related diseases monitored in Australia. A total of 11,667 people were newly diagnosed with malignant mesothelioma in Australia between 1982 and 2009, with men making up 85% of all cases. Since 2003, approximately 600 cases of newly diagnosed malignant mesothelioma cases have been reported each year. The everyday humble redbrick house built in Sydney before 1987 may, without your knowledge, potentially contain asbestos. For instance, there could be asbestos cladding on the kitchen walls behind cupboards and tiles, asbestos in the fibro cement sheets on the walls of your shed, under the eaves, or in your drainage. While you may very well be living with materials containing asbestos, your home may have a low health risk as the asbestos is “contained” (painted and sealed) and poses limited threat, unless disturbed. It is important to recognise however, that any materials containing asbestos that has been exposed to fire or is weathered, smashed and crumbles, is known as Friable Asbestos, and must be inspected by a licensed assessor before any work commences as there is no safe level of exposure to asbestos fibres. Asbestos can release fibres into the air when disturbed. It is particularly prevalent during the renovation and demolition of buildings containing asbestos, and when there is any direct impact action on the asbestos material, such as drilling, cutting, brushing, grinding, sanding, breaking, smashing, blasting with water or compressed air. It is not always possible to detect asbestos just by looking at it. The best way to identify asbestos is by having an inspection performed by a licensed asbestos assessor, who will be able to recommend safe ways of dealing with the risks and asbestos removal. If unsure whether a material contains asbestos, the law requires you to treat it as though it does. If you find asbestos in your place of work or residence (or think you have), do not disturb it. Spray unpainted or exposed asbestos with a fine mist of wood glue (PVA glue) and water (10% PVA glue) and arrange an inspection. Remember to wear an appropriate respirator (P2 or P3 rated respirator), as ordinary dust masks do not effectively prevent the inhalation of asbestos fibres. Tradies and DIY’ers are generally unaware of the dangers of asbestos contamination and how to contain or remove asbestos properly. It is recommended before tradies and DIY’ers commence a renovation or demolition, that they appoint a competent asbestos assessor or hygienist to assess the property and complete an Asbestos Removal Control Plan. For more information on safely managing asbestos, contact SafeWork NSW on 13 10 50. You can find a licensed asbestos assessor, who undertakes air monitoring, clearance inspections, or issues clearance certificates for removal of asbestos, by selecting ‘Licensed asbestos assessor’ on the SafeWork NSW website. The cost of proactively doing something may prove to be lifesaving. If material contaminated with asbestos is to be removed, it must be sealed within a container, which is decontaminated and labelled to indicate the presence of the asbestos and disposed of at a licensed disposal facility as soon as is practicable. Asbestos waste must be disposed of at a landfill site that can lawfully receive this waste. Check with your local council or landfill operator first. It is also illegal to re-use, recycle or illegally dump asbestos products or asbestos contaminated waste. Further information on decontamination and asbestos waste disposal is available in the Code of Practice: How to Safely Remove Asbestos. Registered Training Organisations (RTOs) that are registered by the Australian Skills Quality Authority (ASQA) and are an approved asbestos RTO’s provide nationally recognised asbestos education and training. You can find a list of approved RTO’s on the SafeWork NSW website. While asbestos awareness and removal courses are available to tradespeople and DIY’ers, the uptake is low. It is recommended all tradespersons and DIY’ers dealing with asbestos and renovations, complete a nationally recognised asbestos course.